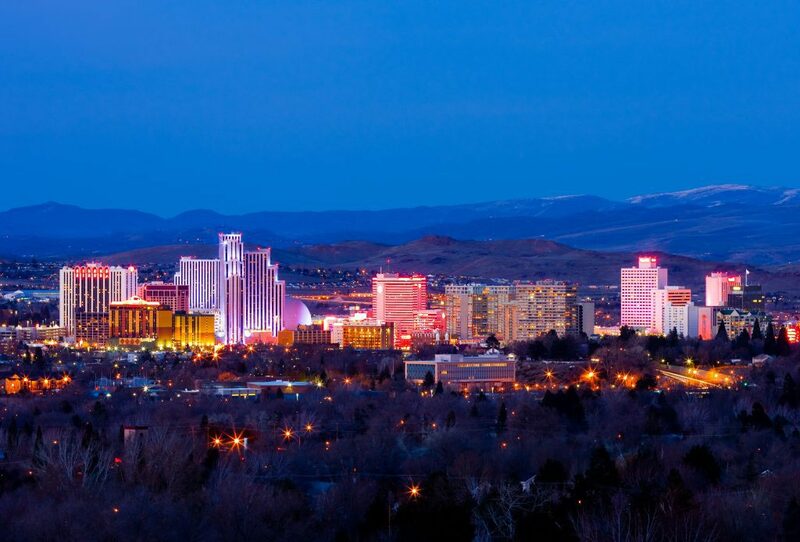 Dubbed “The Biggest Little City in the World,” Reno is known for its casinos and its proximity to Lake Tahoe and its ski resorts. Downtown’s National Automobile Museum showcases more than 200 vintage cars and the MidTown District is lined with shops and restaurants. In the Botanical Garden, take a stroll along the pathway that winds past a garden that’s a favorite perch of native songbirds. North of downtown, Animal Ark is a sanctuary for rescued bears, cheetahs and other wildlife. Visit Carson City, Nevada’s state capital, and Virginia City, the gaudiest boomtown of the Old West and where Mark Twain cut his literary teeth. Enjoy the beautiful scenery of Lake Tahoe and a cruise aboard the M.S. Dixie II, one of Lake Tahoe’s largest and most sophisticated cruise vessels.